"Panaka" is nothing but refreshing drink. 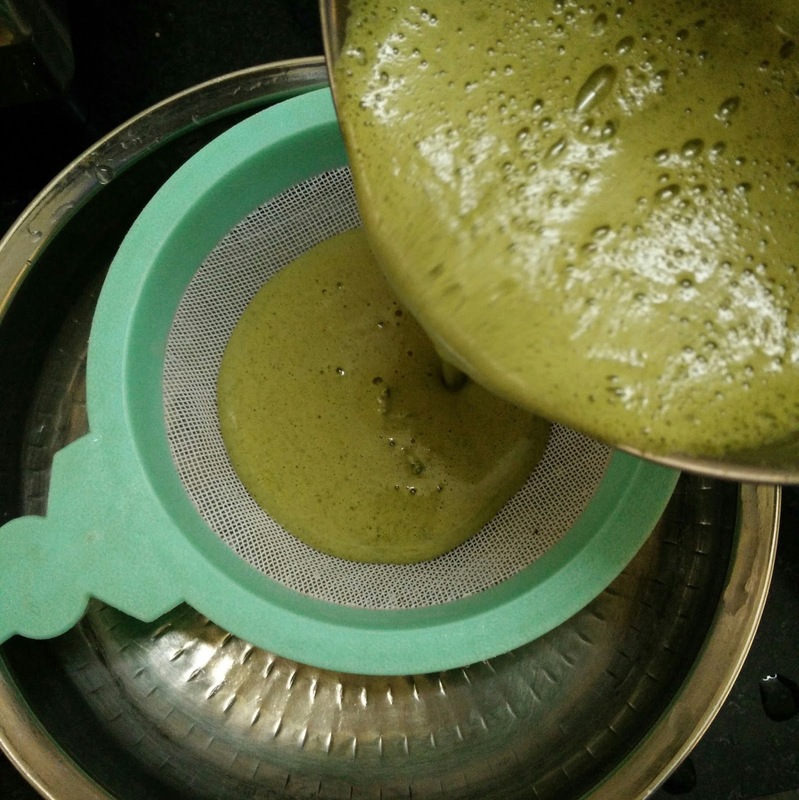 This is served as "welcome drink" in almost all parties in India. 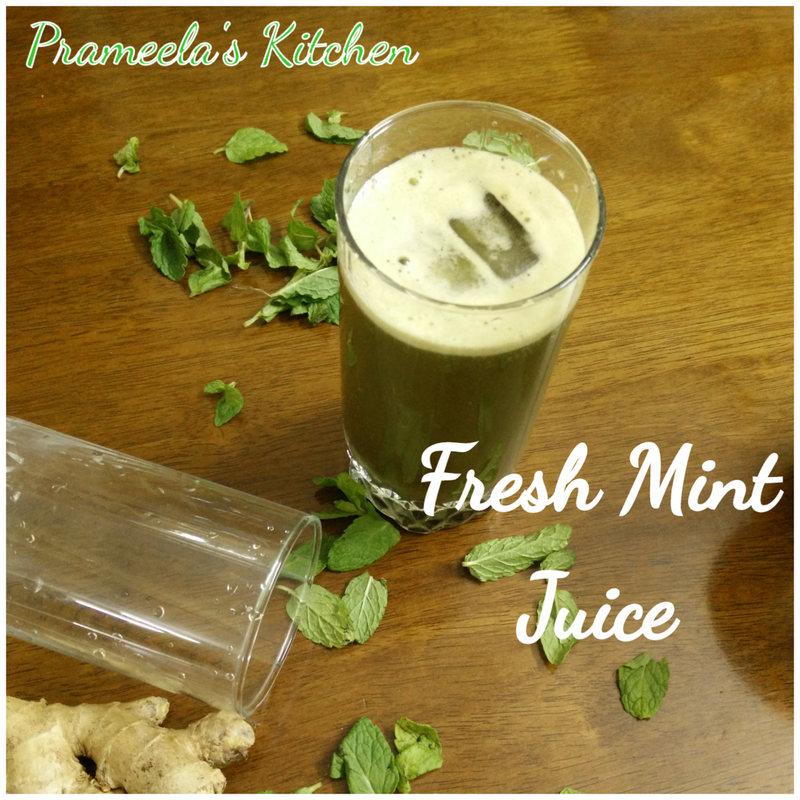 Today I will be sharing panaka (fresh juice) which can be made using pudina/mint leaves. 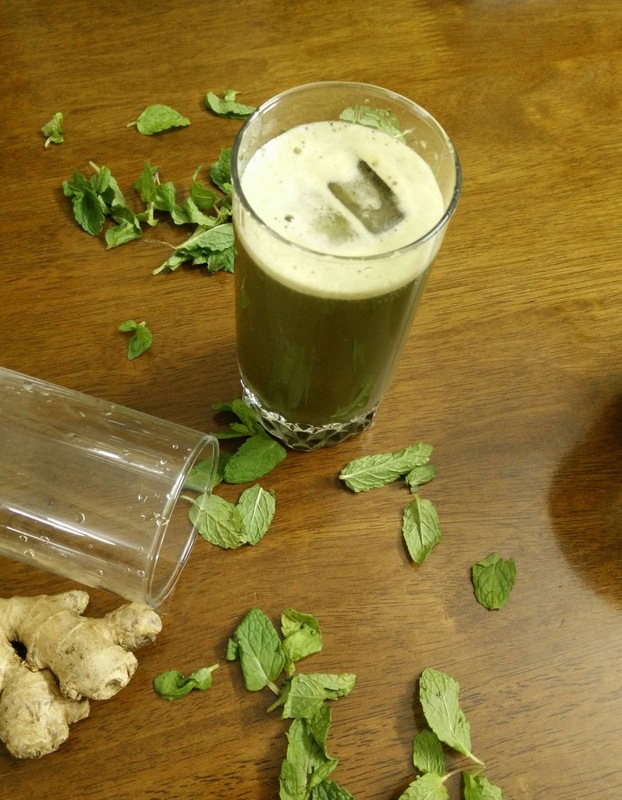 All the ingredients used in this recipe [ mint leaves, ginger,jaggery, lemon) have got lot of health benefits. 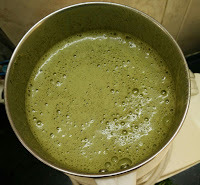 Specially this juice helps in digestion. Serve this refreshing drink chilled :-). Transfer mint leaves , ginger , salt and jaggery into a mixie jar along with 1/4 cup of water . Grind everything together for a minute or so. Make sure everything is ground properly . Now add around 1/2 cup water again and blend it for 2-3 seconds. 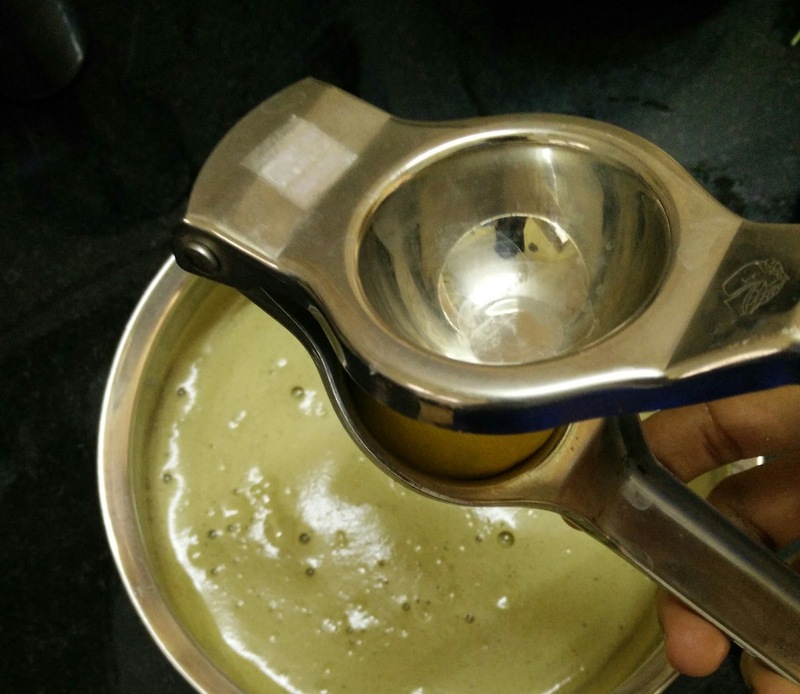 Now filter the juice and add lemon juice.Mix it well and refrigerate it for 30 minutes.You will find some residue when you remove from the fridge. You can discard it if you don't like that in the juice. 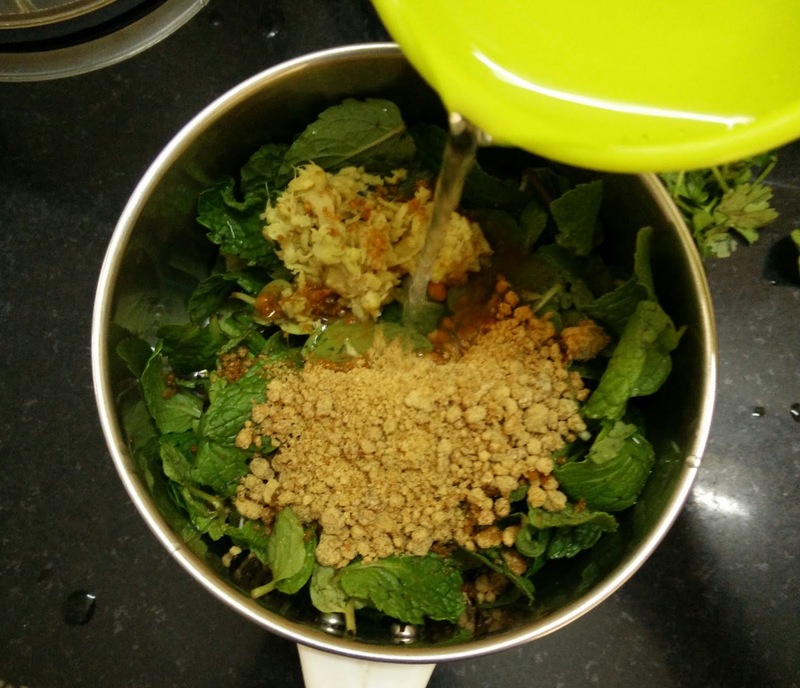 Adjust the salt, jaggery(you can use sugar instead of jaggery ) accordingly at this stage.Add in chilled water if you want to dilute the juice.Serve this chilled refreshing juice along with ice cubes on top.